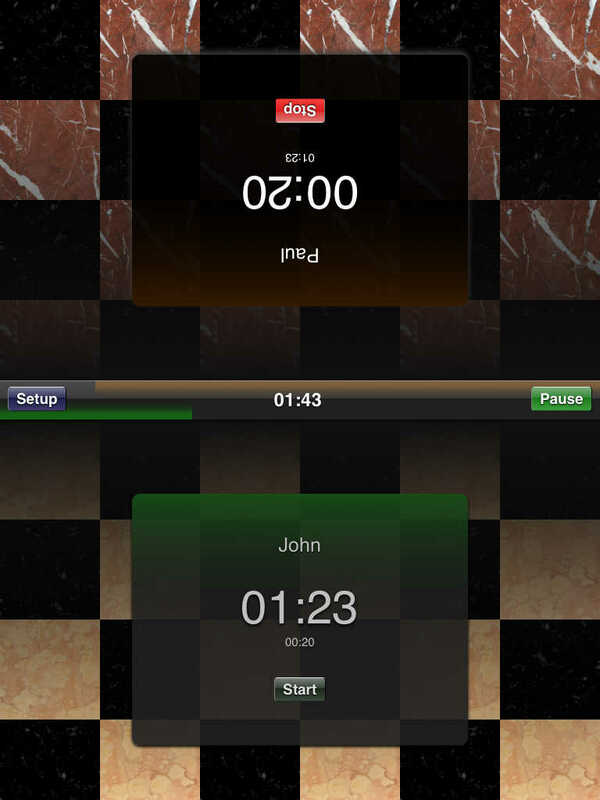 A chess clock consists of two connected clocks which can't run at the same time. 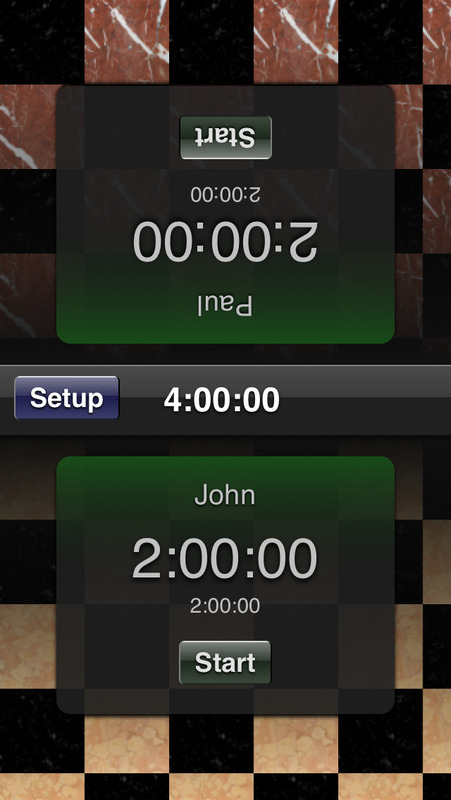 Use it as a game clock to measure the time used by two players for their moves e.g. in game of chess. 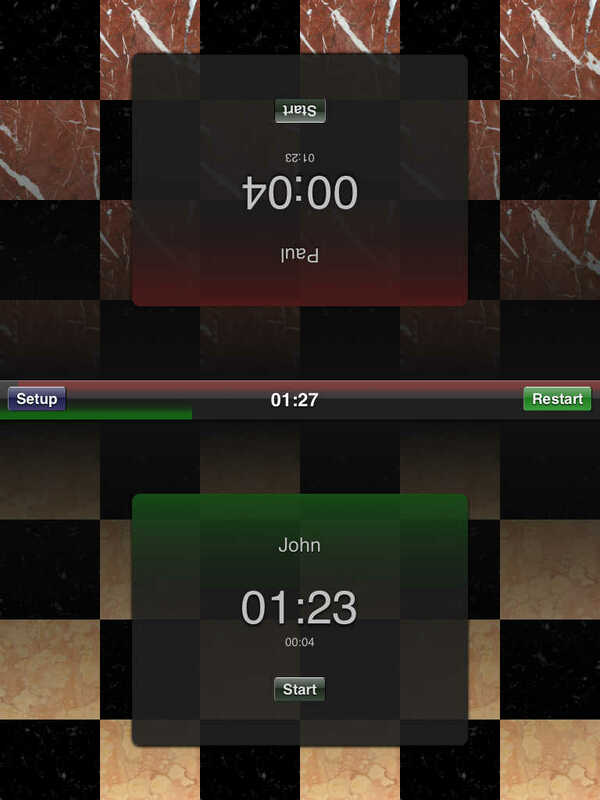 Stopping one clock will start the other one. 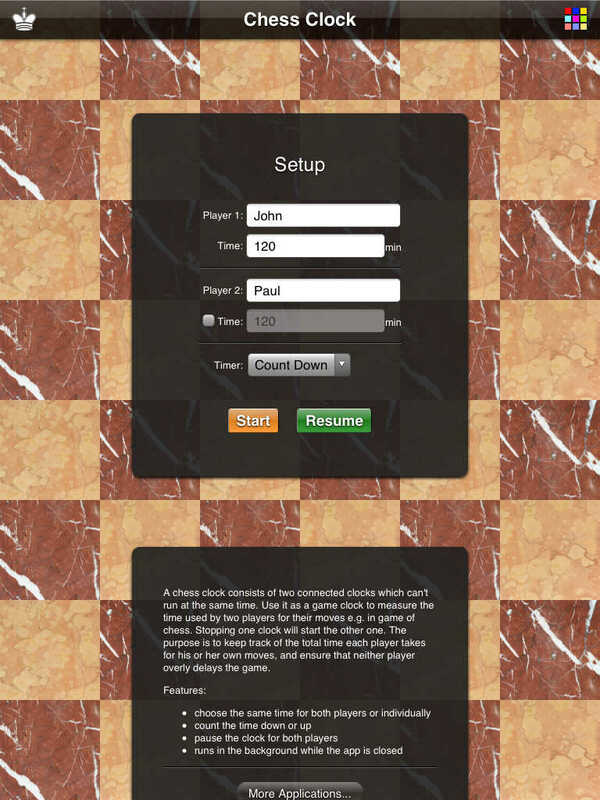 The purpose is to keep track of the total time each player takes for his or her own moves, and ensure that neither player overly delays the game.